It doesn't have to be a holiday to make a copcat Disney treat, but I really couldn't think of anything better than Halloween, and carmel apples. I FINALLY got one on our last trip, and for weeks after I dreamed of them! I tried to make my own, and I'm only slightly embaressed to say the 8 I made were gone in 2 days. I'd like to say I had help eating them, but to be honest, only one of them went to my oldest. Yikes! This time, I made a dozen, with the intention of sharing! A quick note on the apples-- green apples last longer. They also balance the sweet of the caramel, so if you make these using red apples, they might not taste as good, and they won't last as long. These can last several days (just not in my house) without any taste loss. Also, make sure to wash and DRY your apples. If you don't dry them, the caramel won't stick! Put the sticks in. I ran out of sticks, so I cut bamboo skewers (like for the grill) in half. Those worked great! So get your pan ready. I've done it both ways, bowl over simmering water, and straight in the pot. I really prefer in my pot. It goes faster, and I don't have a bowl trying to fall onto the stove. Dip your apples into the caramel, no photo here, it goes quick and starts to harden fast! Roll into nuts if you like, and place on a sheet of waxed paper. They set pretty fast!! Aren't they sooo pretty? Takes less than an hour to do these. If you have people helping unwrap the caramels, it will go much faster! So delish, and easy, and pretty close to the Disney ones. It's not spot on, but in a pinch, or dire Disney emergency, these will do the job! I LOVE Disney trivia!! For some reason, I can't remember how to match a person's name with their face two minutes into a group conversation, but I can tell you the most random, obscure Disney facts, and I've that talent of turning ANY conversation into something related to Disney. Annoying, to some, I'm sure. Today, I've an awesome bit of pretty well known Disney History Trivia, but, who knows! Maybe it's one you didn't know! Mickey was first voiced by someone very close to him! Someone who was sure that he'd be just the thing to rescue them from the devastating loss of Oswald. Someone, who thought of him while on a train trip. You guessed it! Mr. Walt Disney himself! Walt was the original voice to Mickey! For almost 20 years he helped create that iconic guy that we all know, and love. I don't know...there might be a few similarities...a little family resemblance... especially with the smile! What do you guys think? There are a LOT of opinions on the right stroller for Disney. For myself, the stroller has to be able to do this, to pass my Disney approved test! My husband no longer pushes the stroller at Disney. He has a hard time getting it through the crowds, because with a stroller, people WILL cut you off, coming from the sides. Heck, I’ve been run into before by those jumbo strollers from behind. Doesn’t feel good. I don’t mind pushing though, it’s all about the push, I tell him. You’ve got to get that look in your eye that says I WILL run you over if you don’t get out of my way, and the crowd parts. Seriously. Try it, but don't REALLY run anyone over. If you are going to take a stroller, make sure it’s one that pushes well. If you have to muscle your way to make a tight turn around a toddler that stops suddenly in front of you, you need to turn quick. Same if you need to stop. This is the one we use, it’s been WONDERFUL for 4 years of hard use, and I swear, still looks new. Our oldest sat in it at age 7, and it still worked. A note for those of you with the double stroller. Side by side is a lot harder to find a parking spot, or a wide enough path through a shop or walkway than the kind where the kids are in a row. It’s not impossible, nothing is at Disney, but you might have to go slower, say excuse me more, and have a little more patience. Fact of life. Spills happen. Your spills, your kid spills, the stranger’s kid next to you… it’s going to happen. If you’ve got a stroller that isn’t filled with nooks and crannies to get every melted Mickey ice cream bar bit out of, that’s awesome. If you’ve got an older stroller or are of the personality that you don’t care if there’s a stain or two, even better. Maybe that’s why I’m not in the luxury stroller, because spills are going to happen, and I’d rather not worry about it. A swipe with a napkin or wipe and we keep going. Cupholders? A must! Storage area? Got to have it! Pouch for sunscreen and trading pins? Check! Reclining seat? Sooo important! Don’t have too minimal of a stroller unless you don’t plan to have it hold anything but your kid. It’s great to have a cupholder for drinks, and a carge area for the purchases you make or any of those things you started the day holding, and are now too tired to carry. Depending on your little one, you need the right sized stroller. The bigger the kid, the more important that you stroller push without feet getting in the way, to little tush’s weighting down the wheels do you can't push. Check beforehand to make sure no one’s outgrown the stroller! While there’s loads of stroller parking, there are often loads of strollers. A few times we were turned away from stroller parks until they saw how small our stroller was, and squished a few together, or had us fold ours up and hang it on a rail. Part of being easy to park is making sure you aren't so overloaded with stuff it can’t be moved. There are stroller parking attendants who will be shuffling the strollers around while you are off enjoying the rides. Don’t panic when you get back and don’t see your stroller. It’s going to be in the parking area, just maybe in a different spot. Folding is really important if you plan to use your stroller on any of the Disney transportation. You’ll have to have it folded to ride. Depending on the size of your stroller it will either make it easier, or more difficult. It’s also great to have a stroller that folds, because some stroller parks areas, like at the stroller parking for Fantasmic! have a large fence they prefer the strollers be hung on. You can go here to read about tips for having a stroller on a Disney bus. You know how when you’re driving around town you see several cars that alook like yours? Or how annoying it is at the grocery store parking lot when there are 3 cars just like yours in the same row? It’s going to be the same with strollers. To prevent grabbing to wrong one, or someone else getting yours by mistake, jazz it up a little! First step, make a sign to hang from the handles, and laminate it! Put a cute Disney photo, your phone number and a big THIS STROLLER BELONGS TO etc. I’ve seen balloons, stuffed animals, silly bands and all kinds of things. Make it stand out a little! Why? didn’t I just say to make it stand out and look cute? I’ll explain. It’s so easy to get into the mindset that you are in a safe place (and really, Disney is VERY safe. Most of the crime against Disney tourists are Off Property) but make no mistake. Where there’s something someone wants, they are going to take it. Stroller thefts are rare, but they do happen at Disney, especially when it’s a high end stroller. There was one last year where a woman and her kid walked out with a VERY expensive stroller, and it contained the real owners keys, wallet, credit cards and cash. The stroller was then almost sold on craigslist, but the potential buyer got suspicious and called the police. Is that right? Absolutely not! Should the person be criticized for taking a high end stroller to Disney? Of course not! But my thoughts are, if you have a few options for strollers… make it based on the criteria above. If that high end stroller is the only one you want to take, ok. But why risk it when one for less than $50 will do the trick? Want more ideas on planning your trip? Click here to see the 10 things you can do in just 3 hours at Animal Kingdom! Click here to save HUNDREDS in the parks in just a few minutes! 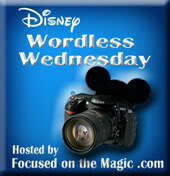 Movie Magic is a great theme for this week at Focused on the Magic. If there was ever a Disney movie I've not liked, or felt the magic in, I've not met it yet. New movies or old, Disney does such a great job of finding the magic, and for that, I picked Oswald the Lucky Rabbit as my representation of Disney Movie Magic. Though Oswald doesn't have a full length movie of his own, he has several shorts and has cameos in several popular series. If you've got a fan of Minnie's Bowtique, look for him in the slumber party episode! Oswald has a really interesting history. While it all started with a mouse, I think really, ust a little while before, it all started with a rabbit. ​Want to see more movie magic moments? Click here, and check out the other great blogs! Ahh!! Disney for the holidays! There's nothing quite so cozy to remind you of your home away from home. Sometimes I find the PERFECT thing at the store, and then nearly pass out cold at the price. Sticker shock, for sure! Doing Disney, or any theme, doesn't have to be expensive to look good, or have results! Last year we were at a little place that's a big deal in our area for good bargains on books and home decor and toys. It's only open a few times a year, that's part of what makes it such a big deal. They were doing a Halloween event for the kids, so we thought, why not? We get there, and they had massive piles of plastic pumpkin pails. I already love those, I do this thing every Halloween where I cover the lawn with them, and inside place one or two battery tealights. As it gets darker and darker, our yard is lit with pumpkins of all sizes, each glowing. We get about 200 trick or treaters so it's always fun to make it look special. Anyway...I'm there, saying ohh look at those, when I see it. Someone walking away with MICKEY shaped pumpkin pails. I ran all over looking for some. No luck. I was standing near the checkout, when I saw them. A box full. I must have knocked over eleven people getting to that box. I asked the cashier if they were someone's, she said yes. Sad, I moved on. An hour later, I poke my head back around. "Anyone claimed these yet?" A shrug, and am I'm sorry, I just can't sell them because they are someone elses. So I check out, get to the parking lot and think, you know...no one's coming back for those or else they already would have. So I run back, leave my name and number, and start looking online for some. Can't find them. That evening, the phone rings, and lo and behold!! THEY WERE MINE!! Mr. Disney Magic earned himself some major brownie points heading over there and managing to get there two minutes before they closed. So now, I've Disney pumpkins for the lawn too, and I'll have to share a photo with you later of them glowing! The photo at the top is the backside of the pumpkin, the front is Mickey's face. ​But my point is...doing Disney, doesn't have to be expensive. Let's look at a few of these awesome decorations that didn't cost much to do time OR money wise! It's amazing how a few of these clever people have Disney-ied up their homes, and on the cheap! Click on the photo to take you right to their page. Have any of these inspired you to add a little Disney to your decorations?